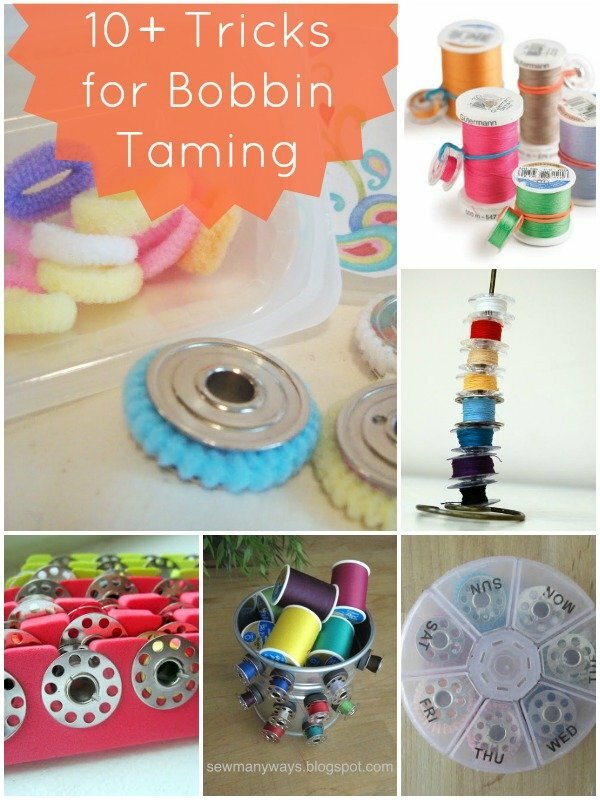 Are your bobbins out of control? 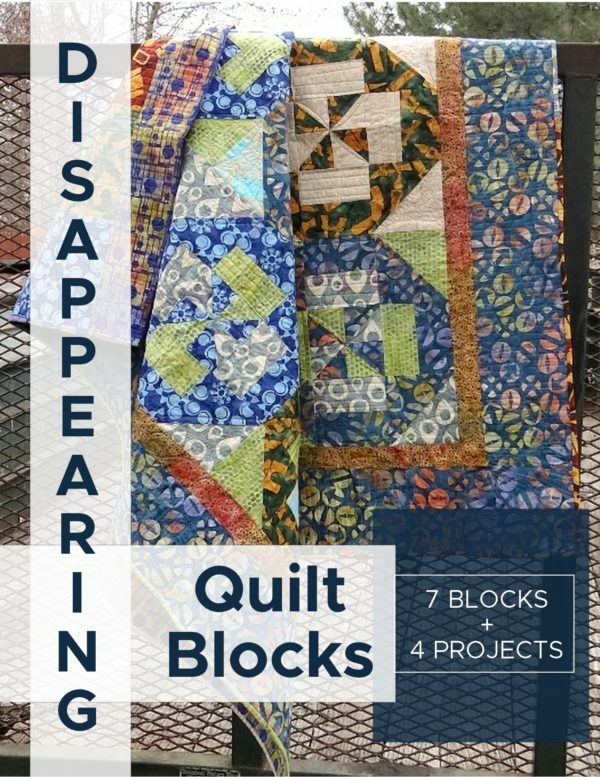 Thread making you crazy? Tangles and knots? 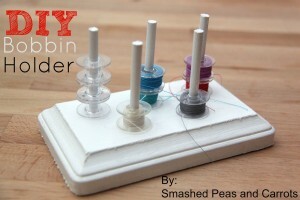 Let’s talk about Bobbin Storage!!! I find that they quickly get unruly. 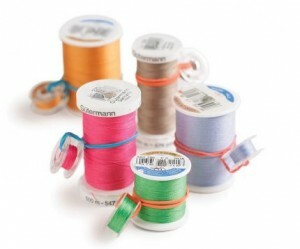 Thread is everywhere and before I know it there are knots and tangles. What a serious mess…and of course it seems to not ever happen until I am needing to use one. 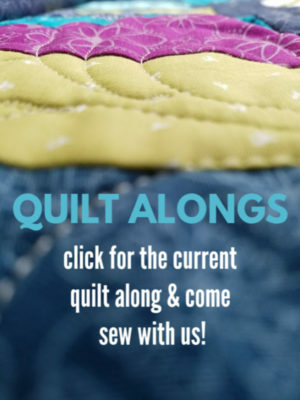 And usually my foot catches a long thread and unwinds the bobbin from room to room. um. yeah. 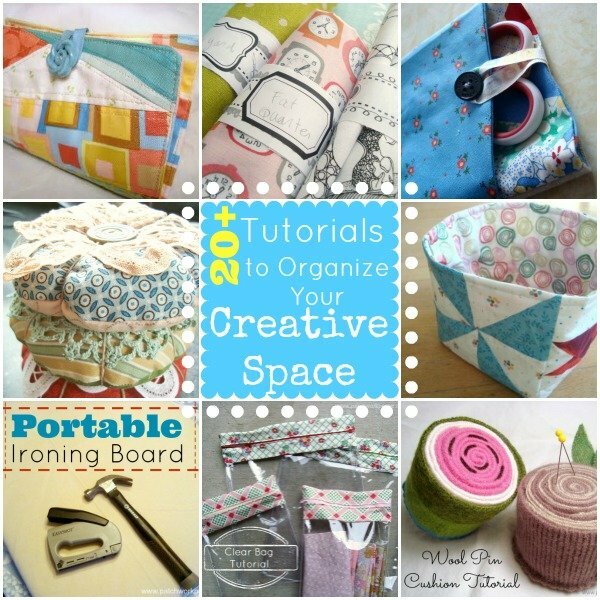 Not to say that happens to you….but just in case here are a few sewing room ideas and tricks that you can do to help that from not happening. 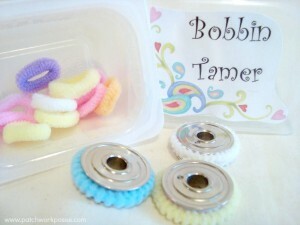 Do you have a trick for keeping your bobbins untangled? 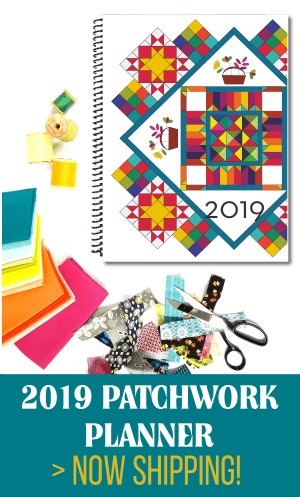 Hello Becky, I save empty perscription bottles, even friends give them to me… I peel off labels and add fabric sometimes…. 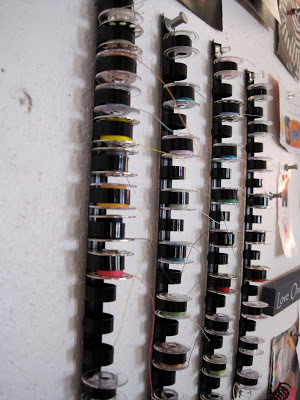 I keep the same thread for a project, about 5 bobbins, in the bottles…. Stack in drawer and always handy…. I use an old clear-lidded, compartmented box that my husband used to keep his fishing flies in. I have a wooden rack that my thread hangs on. 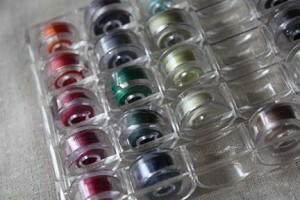 I hang my bobbins on the peg next to the matching thread spool. 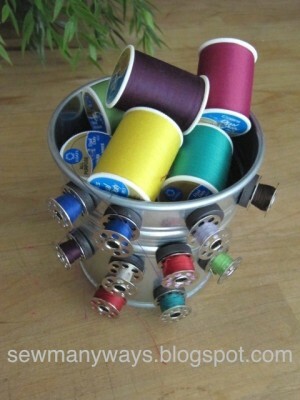 This way I know if I have a matching spool and I don’t have a tangled mess of threads. 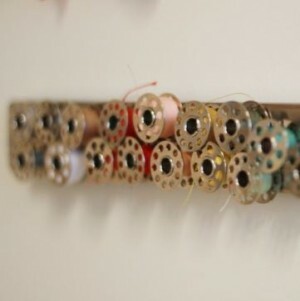 Three bobbins can fit on one wooden peg. 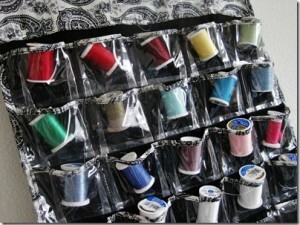 This is handy since I usually have multiples of black and white thread. 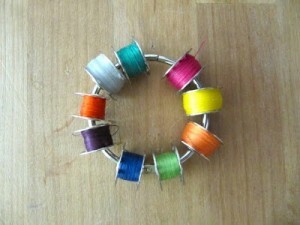 I also “file” my thread by color (all blues in one area, all greens in another, etc.). This makes it easier to find a matching color. 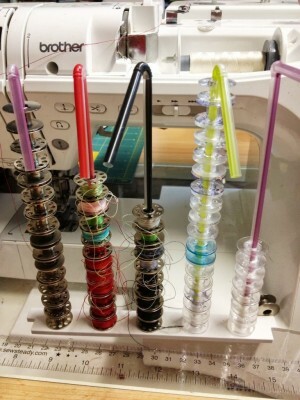 I cut a drinking straw in half, place the two pieces together and slide the bobbins onto them. 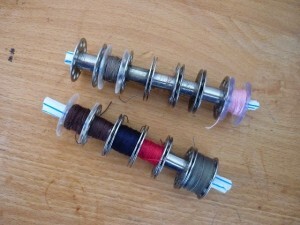 The thread ends can be wound between the bobbins or tucked between the two straws. 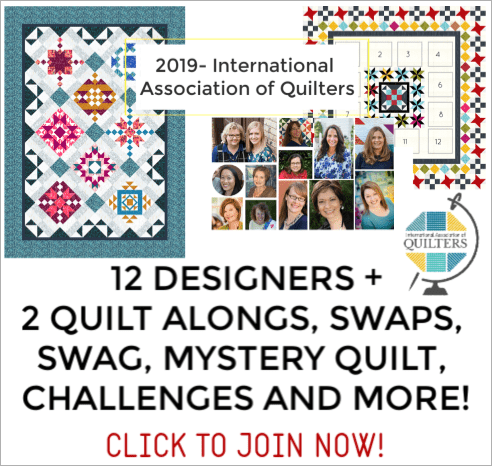 thanks for the additional suggestion Doreen- I have added it to the post! Lori- thanks for the idea! 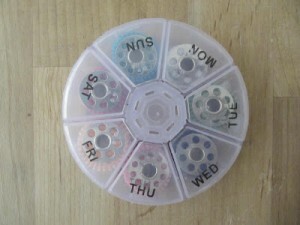 I use the pill bottles for broken needles or pins….then they don’t poke you in the garbage. 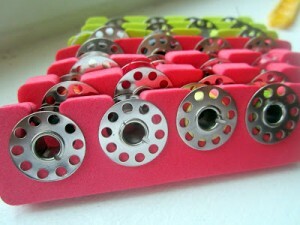 Never thought about stuffing them full of bobbins! 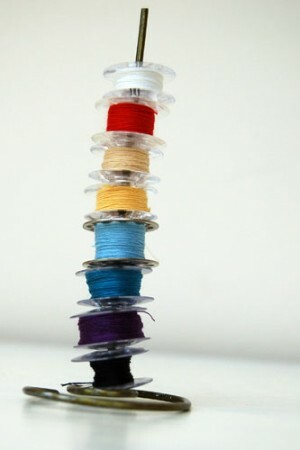 I’m surprised one of the thread companies have not come up with an answer to keep spool and reel together tidily. So occasionally I do have an “ah ha” moment. I was in The Family Dollar and stumbled a pack of 12 INDIVIDUAL toe separators for $1. They aren’t the ones that have 5 on one strip. The only question I have is why they are sold as a pack of 12 when you only have 10 toes. 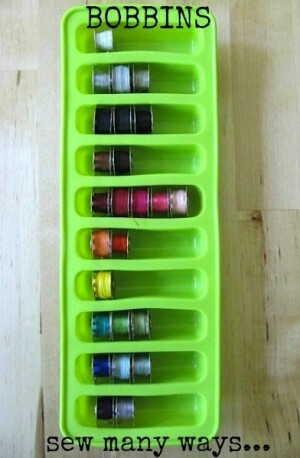 LOL These work GREAT to hold and store bobbins. NO unraveling! !